Saul hates Christians; the text here could not be more emphatic. Saul was determined to pursue and destroy the early church. He would go house by house, city by city looking for people of the Way, all for the purpose of taking them bound to Jerusalem and putting them to death. When Saul went from city to city searching for Christians to bind and return them to Jerusalem, what would he look for? In other words, what were the distinctions of those early Christians that enabled him to identify them as disciples of Jesus Christ? Who were these people of the Way; how would you characterize them? The person Saul hates and wants to take bound to Jerusalem to be executed abides in the word of Jesus. The word “abide” is the Greek word μείνητε, which means “remain, continue, or stay” The point being a true disciple of Jesus Christ continues in His Word. At my house we call that “obedience”. 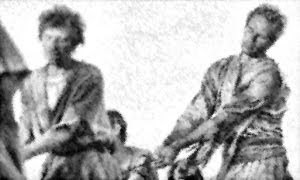 The next installment we will review an example of a true disciple of Jesus Christ and why Saul might hate him so. Please read Acts chapter 7 and ask yourself if Saul found you during his early days, would he have taken you bound to Jerusalem?